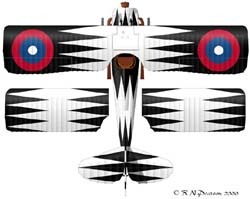 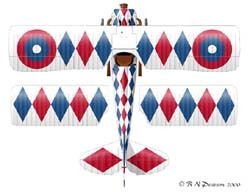 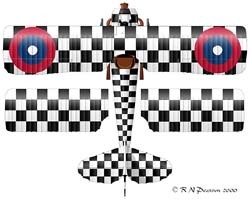 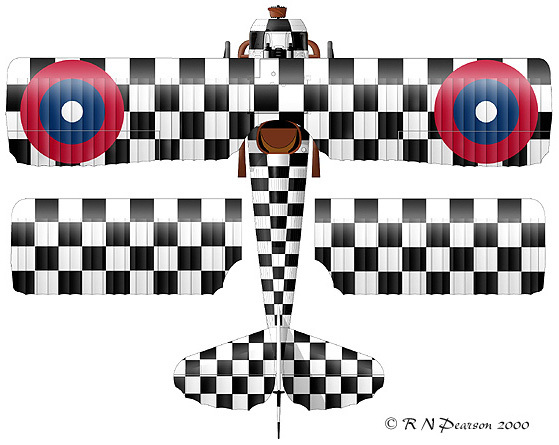 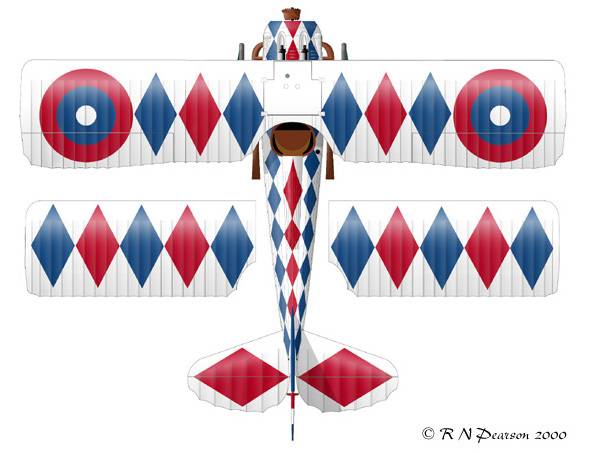 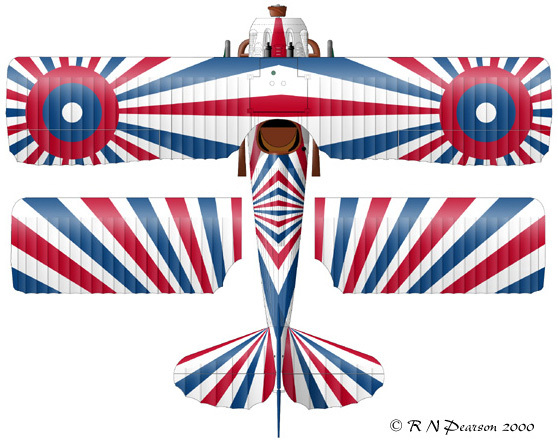 During early 1919 the pilots of the 94th Aero Sqd decided to paint their SPAD XIIIs. In an attempt to outdo one another they came up with what were termed the "Showbirds". 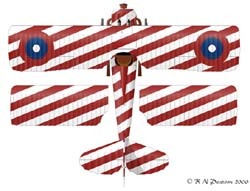 Click on the top and starboard views for full size images. 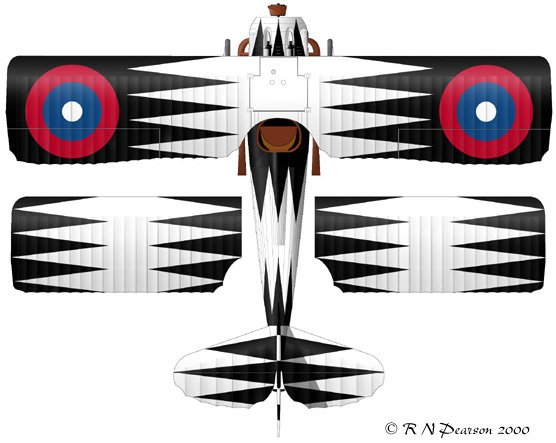 A most intriguing design is seen on the aircraft of John Jeffers. 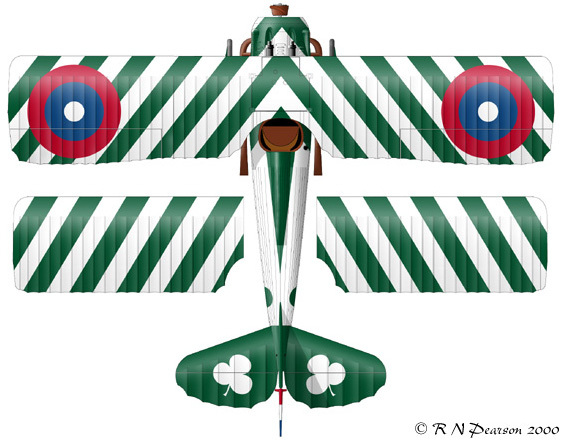 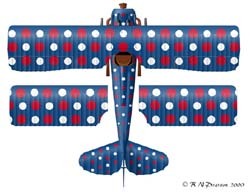 The 'rising sun' motif radiates out from the star on the fuselage and the roundel on the upperwing. 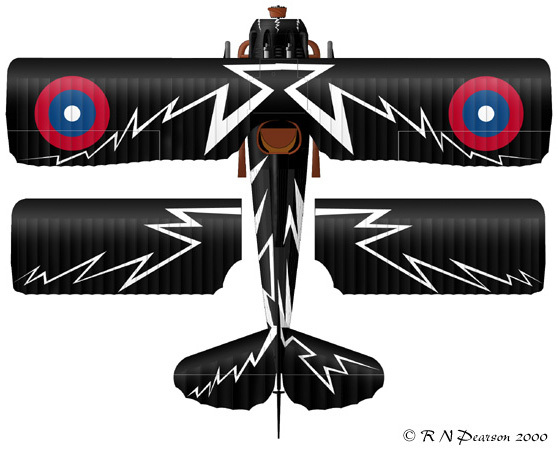 The design repeats on the bottom of the lower wing, however the bottom of the upper wing is left in the light yellow of the French five-colour camouflage originally carried. 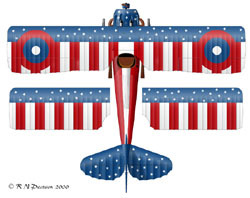 Captain Chambers SPAD carried a representation of the American flag. 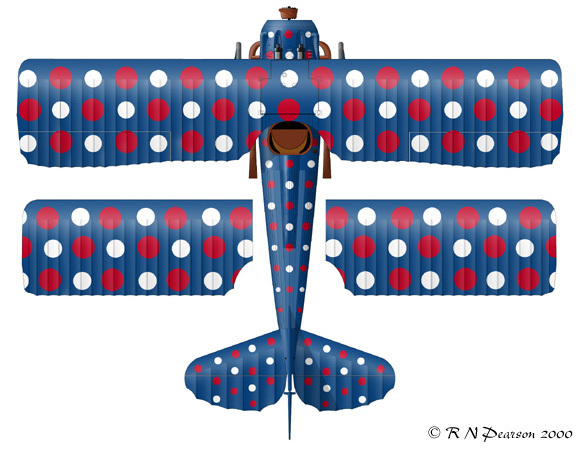 I am still waiting on information as to whether the leading edge of each wing was in blue. 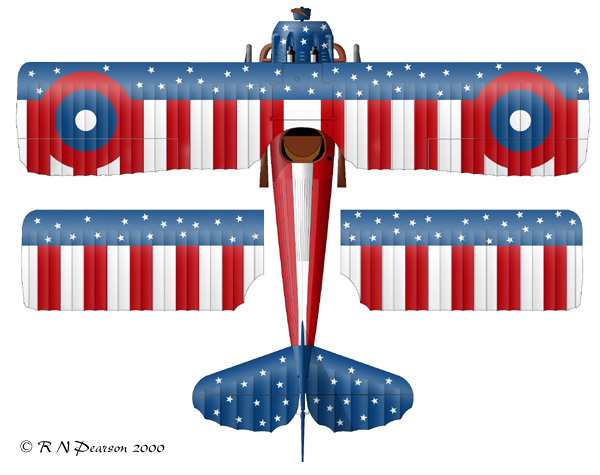 I would tend to think so. The opposite side was in the mirror image except for the three large panels below the nose, these were the reverse to those shown here. When the 94th was returned to the United States, their aircraft went to the 138th Aero Sqn still wearing their fancy colours. 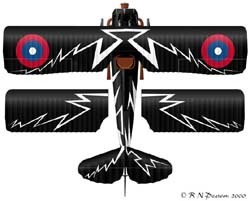 However the squadron insignia was removed by the pilots of the 94th, and this was replaced with that of the 138th.